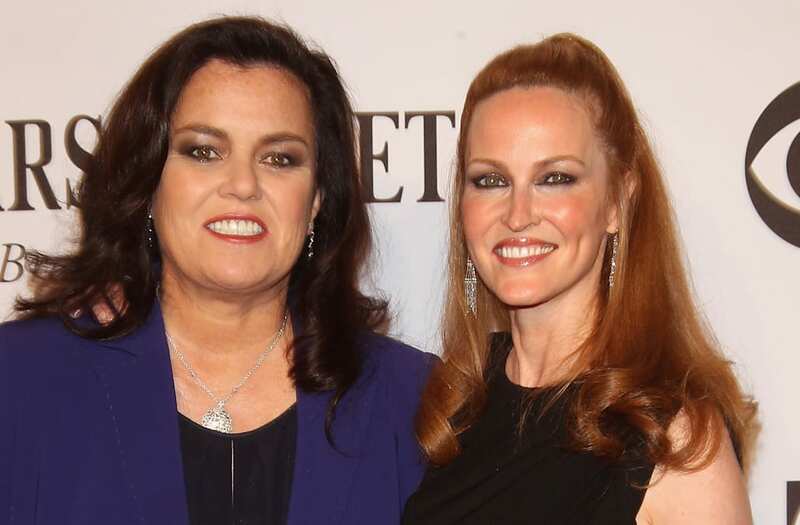 Rosie O'Donnell's ex-wife Michelle Rounds has died at the age of 46. TMZ reported on Friday that Rounds died at her home on Monday following an alleged suicide. Rounds started dating O'Donnell in 2011 before they married in a private ceremony in 2012. They broke up in 2014 and finalized their divorce in 2016. "I am saddened to hear about this terrible tragedy," Rosie told TMZ in a statement. "Mental illness is a very serious issue affecting many families. My thoughts and prayers go out to Michelle's family, her wife and their child." Rounds and O'Donnell were engaged in a brief custody battle over their adopted daughter Dakoota, now 4, after Rounds initially filed for sole custody. In September of 2015, the former recruiter at Modis in New York City was hospitalized for an apparent overdose. Rounds eventually got remarried to Krista Monteleone, who she was still married to when she died this week. She is also survived by her parents, Roger and Gayla Rounds, brother Tad Rounds, two daughters and a stepson. Michelle's mother also released a statement mourning her daughters on Friday. "If anyone would like to give to the National Suicide Prevention it would be greatly appreciated," she told TMZ. "There are so many out there in this world that have demons that they think suicide is the only way out."